Scenario 1 - Infrastructure Island. Works to meet NYC's 2030 sustainability goals while providing jobs, training, and energy to marginalized communtiies. 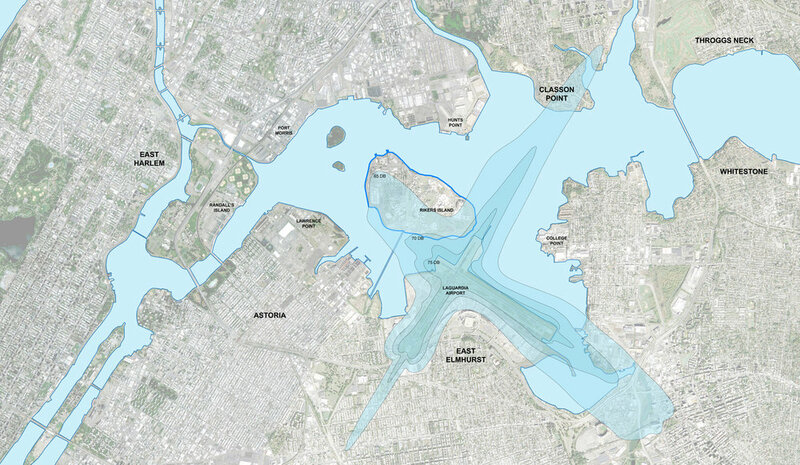 Infrastructure Island would take a large portion of New York Cities waste, convert it to energy and other forms of renewable energy for use on the island. Scenario 2 - Hybrid Scenario. LaGuardia Airport gets an additional runway to alleviate congestion. The island would also house a portion of waste and energy program elements. A new terminal with additional aprons could be added with the additional runway capacity.